Every day from 9:30 p.m. to 11:00 p.m. you can see a unique thematic video installation. 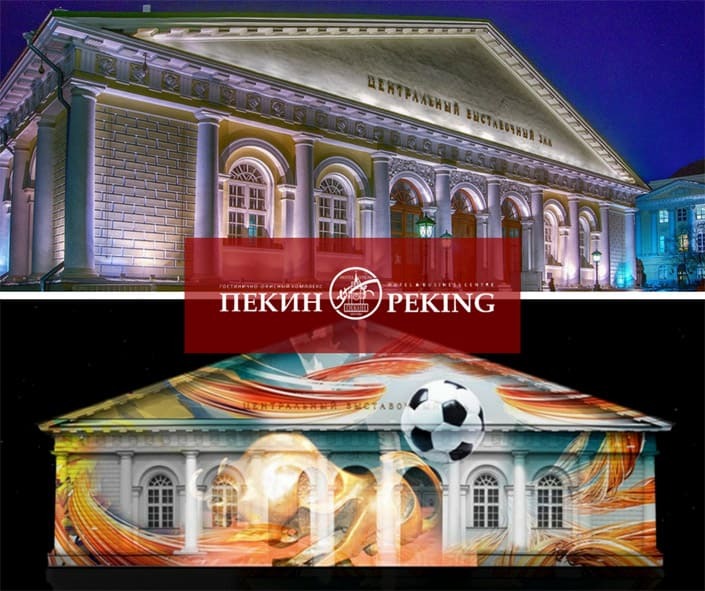 The facade of the “Manezh” Central Exhibition Hall will turn into a huge screen which will feature football players of national teams, symbols of different countries and a talisman of the championship Zabivaka. The light show will be hold until 10, June.